Call of Duty: Elite Shutting Down Today. Only for a Bit. In preparation for Call of Duty: Modern Warfare 3 launch, the beta for Call of Duty: Elite, Activision's new social network and stat-tracking service, is going offline later today. According to an official release, Activision and Beachhead Studio are shutting down the Elite beta at 3:00pm EST. Before MW3 and Elite's launch, the following sections have been closed: Connect, Compete and Improve. 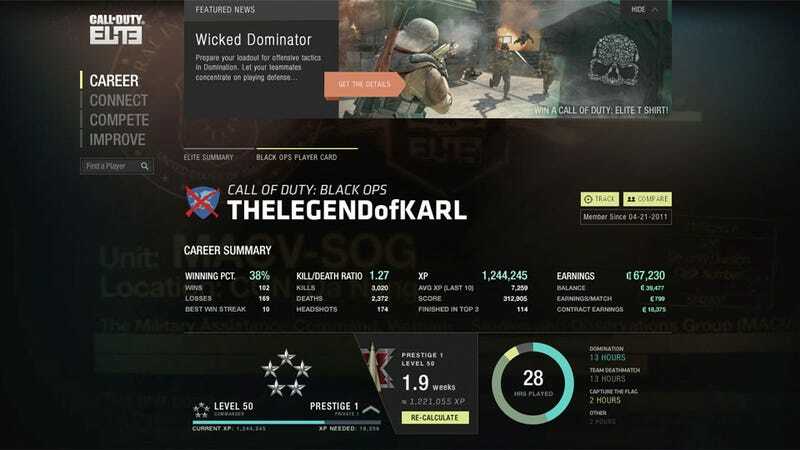 The Career page, however, will open shortly as will the Black Ops stats. Modern Warfare 3 and Call of Duty: Elite launch on Nov. 8.